Toyota launches the latest generation Avalon Hybrid sedan. The Avalon Hybrid is the most efficient sedan in its class. 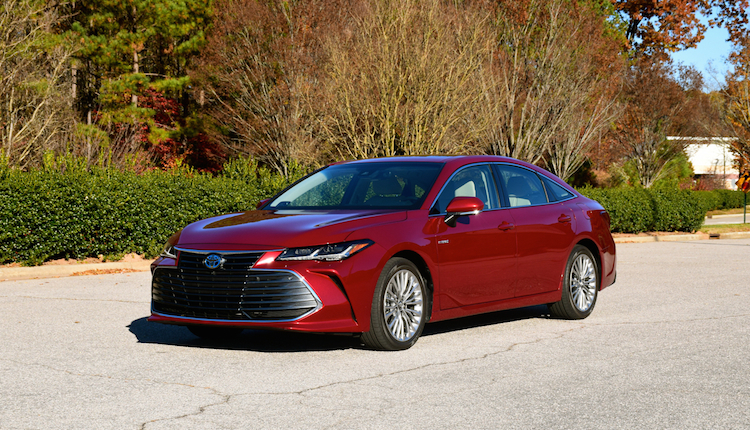 The 2019 Toyota Avalon Hybrid is a large, five-passenger front-wheel-drive sedan that’s also all-new. While some competing manufacturers are fleeing sedans altogether, Toyota is doubling down and releasing new models, including the hybrid version of its flagship sedan. The current version is larger, more comfortable, and features a wider range of amenities than before. It is also more efficient, supplying nearly double the fuel economy of the standard model with a V6 engine. Like all Avalons, this one is also front-wheel drive. 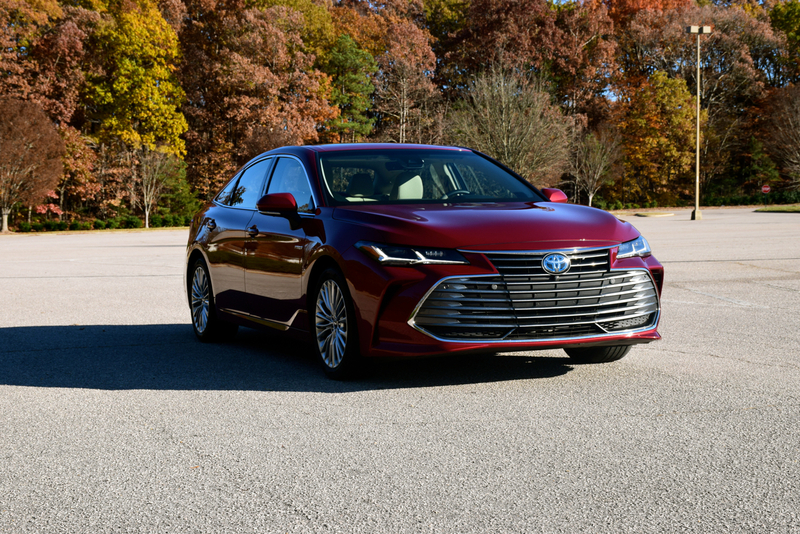 Toyota offers the 2019 Avalon Hybrid in XLE ($36,500), XSE ($39,000), and Limited ($42,800) trims. Add $895 for the destination charge. The base model offers a Moonroof Package ($1,000) and a Moonroof Package with Options ($1,680, moonroof and a 14-speaker JBL audio system). The middle-trim model comes with the moonroof and adds the JBL Audio Upgrade ($680). As for the top-trim model, you can choose the Advanced Safety Package ($1,150, bird’s eye view camera with perimeter scan, intelligence clearance sonar with rear cross-traffic braking). 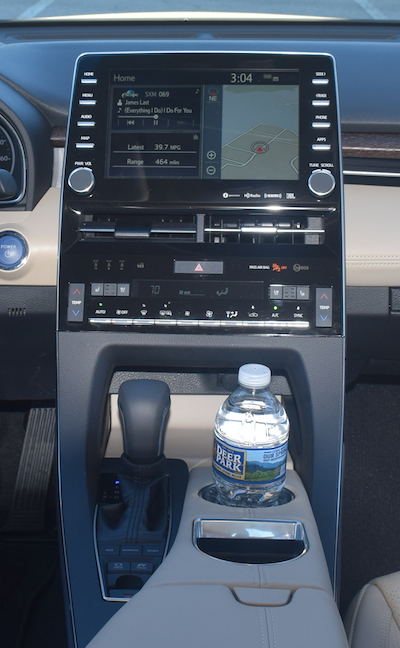 Toyota keeps matters simple with the Avalon Hybrid, rolling most upgrades into each trim. As we examine this model, you’ll also note just how well equipped this large sedan truly is. The Toyota Avalon is now in its fifth generation, a model introduced in 1995. 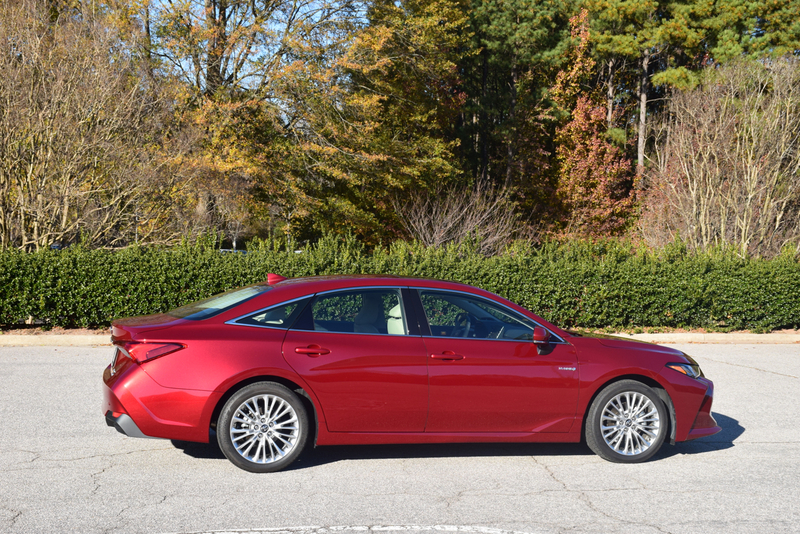 It is closely related to the midsize Camry sedan, but in its current iteration, the design departure is more evident than before. The Avalon Hybrid joined the product line in 2013, the same year Toyota launched the fourth generation. 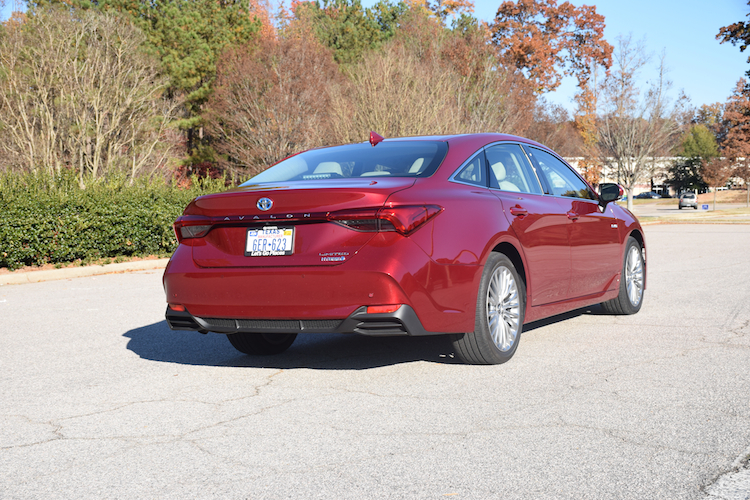 The latest Avalon series is based on Toyota’s all-new global architecture, which has yielded such models as the Toyota Corolla hatchback, Toyota Prius, and the Toyota Camry. The Avalon is very similar to the Lexus ES too. 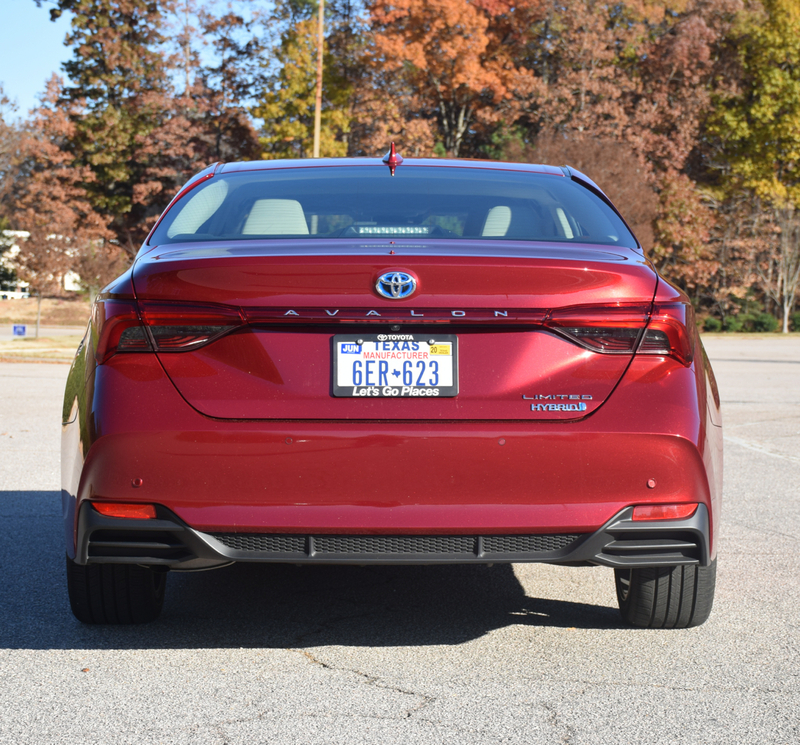 For 2019, the Avalon gains two inches between the wheels, which benefits the already quite impressive rear legroom. As for the exterior, the Avalon series features an enormous gaping grille offset by deep cutouts and sleek headlamps. It is a look that is at once sporty as it is elegant. Pretty detail lines grace its profile. This model features a high and rising beltline and a long flowing roofline, the latter intersecting with the raised trunk. The tail lamps provide as much drama to the sedan as do the headlights and are connected by a long strip of reflective lighting. Dual exhaust tips dress up the diffuser-like trim. Standard features include LED reflector headlights, LED daytime running lights, and LED taillights. You’ll also find heated power-controlled side mirrors, 17-inch alloy wheels, and a rear spoiler. The list of upgrades includes fog lights, a power tilt-and-slide moonroof, 18- or 19-inch alloy wheels, and sport trim. 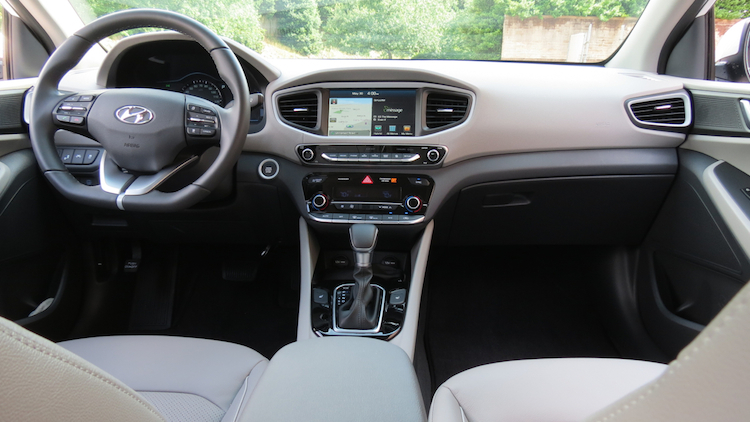 Inside, the cabin is spacious, befitting the size expected in a large sedan. The Avalon series along with the Lexus ES offers ample room, rivaling some of Europe’s largest models. The Avalon’s cabin features contrasting colors, a layered dashboard, and a blend of materials. The focal point is the center stack, itself punctuated by a 9-inch color display. 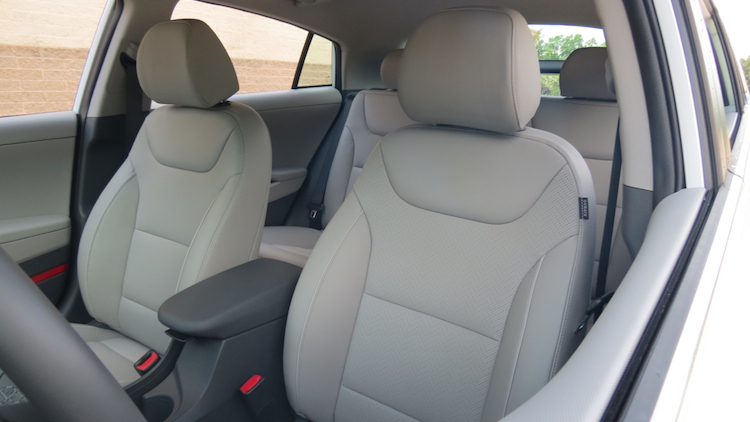 All seating positions are comfortable, including in the back. 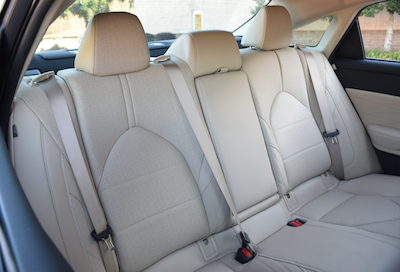 We could see the Avalon series used as an executive car as the rear cabin is very roomy. All models come with keyless entry, push-button start, full power accessories, a tilt-and-telescopic steering column, and zoned climate control. 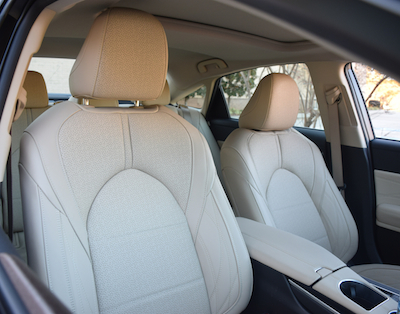 The seats are covered in SofTex, which is imitation leather — it feels very much like the real thing. 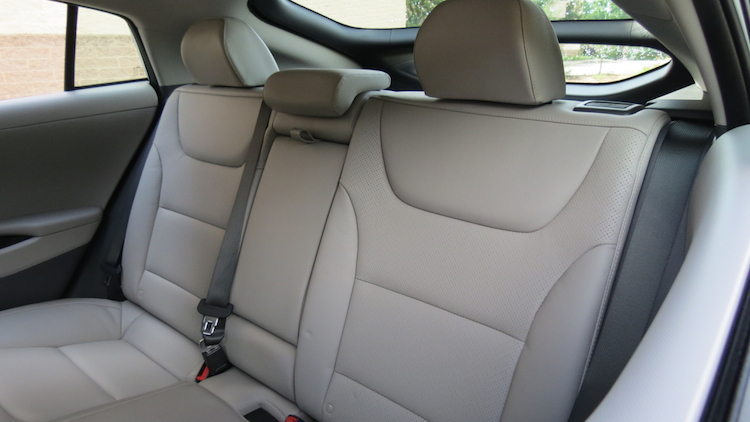 The front seats are power-operated and include driver power lumbar support. The list of options includes leather seats, heated outboard rear seats, ventilated front seats, a heated steering wheel, and aluminum and wood trim. Arguably, this is one of the most luxurious Toyota models we’ve seen in America outside of the Land Cruiser. Toyota is second to no one when it comes to safety features. Indeed, every 2019 Avalon Hybrid model comes with Toyota Safety Sense P (TSS-P), a suite of active safety features, including a pre-collision system with pedestrian detection, lane departure alert with steering assist, automatic high beams, and dynamic radar cruise control with full stop and go. An available Advanced Safety Package ($1,150) on the Touring trim adds a bird’s eye view camera with perimeter scan, a clearance sonar, and rear cross-traffic braking. We’d like to see Toyota offer this package across all three trims, but at least the standard safety features are quite generous. 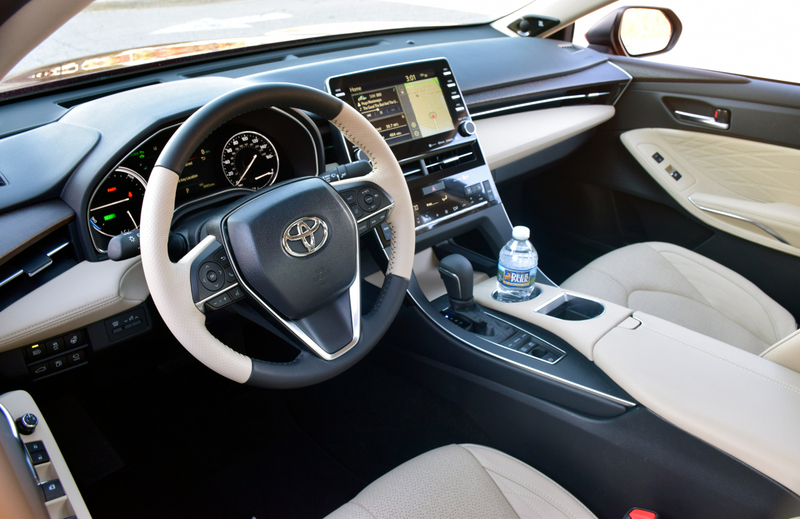 On the tech front, the Avalon Hybrid shines with its Entune audio package comprised of eight speakers, HD Radio, satellite radio, the 9-inch touch-screen display, USB and charge ports, Bluetooth, Siri Eyes Free, and Apple CarPlay. Alas, Google Android Auto is not yet a smartphone compatibility option. A head-up display is standard with the top-trim Limited model. Upgrades include a 14-speaker audio system with a subwoofer, wireless charging, and navigation. The Avalon Hybrid’s powertrain is the same as the one powering the Camry Hybrid. It is also closely related to the Toyota Prius, from which all hybrid Toyotas derive. Toyota calls the hybrid powertrain, Hybrid Synergy Drive. This system is composed of a four-cylinder engine, two electric motors and a continuously variable transmission. You’ll find three standard drive modes too: EV, Eco, and Sport. This engine makes 176 horsepower and 163 pound-feet of torque or a combined 215 horsepower when operating under full throttle. Of course, the Avalon Hybrid is geared toward efficiency and does nothing to impress you when it comes to performance. That said, if you need an extra boost in power, this sedan complies. Under full load, it won’t zip you places, but it’ll keep you ahead of whatever is bearing down on you. Engage the ignition and the Avalon Hybrid stays quiet except for a slight hum once you get moving. At any time when you need an extra boost, the gas engine automatically kicks in. In EV mode, you can glide around parking lots looking for an empty space, otherwise, the four-cylinder engine is supplying its own power. This hybrid model supplies a very comfortable ride with weighted steering and direct handling. Torque steer is just not an issue as there isn’t copious amounts of power sent to the front wheels as you would find with the conventional V6. The gearless transmission simply isn’t noticeable — this car is geared toward efficiency and delivers an EPA-estimated 43 mpg. Lead-foot-me achieved 40.3 mpg for the week in relatively cool conditions. Yes, the weather is a factor which can reduce mileage under certain conditions. If you’re looking at a full-size sedan, the segment is certainly shrinking. The Avalon competes with the Buick LaCrosse, Ford Taurus, Chevrolet Impala, and Kia Cadenza, and may also be cross-shopped with the Chrysler 300 and Dodge Charger. The Nissan Maxima is another model, but it is smaller than the rest. Buyers won’t be flocking to the Avalon Hybrid as long as fuel prices continue to fall, now dropping below $2 per gallon in some places. 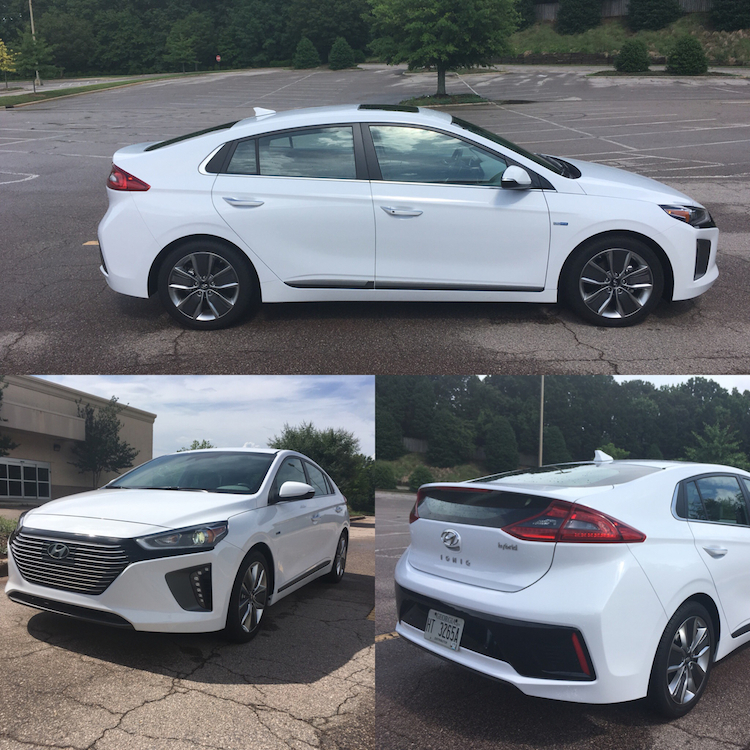 But if fluctuating fuel prices and maximizing efficiency are two of your chief concerns, the hybrid model is priced just $1,000 more than the conventional Avalon. Thus, Toyota gives shoppers every reason to consider one, especially as the extra cost should be recouped in about two years. 2019 Toyota Avalon Hybrid photos copyright Auto Trends Magazine. All rights reserved.